UK based health-focused innovation platform Well Tech announced its collaboration with Mumbai based Venture Catalysts, India’s first integrated incubator to initiate a HealthTech-oriented acceleration program ‘HealthCare Catalysts’ . The program will help early stage Healthtech start-ups to scale up and serve millions more patients and customers. The program will provide HealthTech start-ups with access to capital, industry partnerships, and product and technology support along with helping them scale to new markets. “The program is differentiated by deep clinical expertise powered by serious technical capabilities and commercial expertise across international markets, which will benefit the selected start-ups immensely, “said Dr. Niti Pall, Chief Medical Advisor, Well Tech. Pall was Medical and Innovation Director of Emerging Markets for BUPA, where she helped to create an innovative model of micro-insurance in Bangladesh in partnership with Telenor. She works across geographies globally to address issues of public healthcare and related financial concerns. The selected start-ups will be offered funding opportunities ranging from $0.5 million-1.5 million in almost 25 startups, along with being assisted in conducting Seed and Series A funding rounds. A report by Traxn Technologies last year noted that VC investment in healthtech startups had grown to an all time high in 2018 with over $510 million invested across 80 startups. In 2016 and 2017, invetsments in healthtech startups stood at $163 and $343 million respectively. Well Tech will help healthcare providers with business ideas avail relevant technology for their business needs while Venture catalysts already has a few investments in hygiene and healthcare like Peesafe and healthcare croudfunding platform ImpactGuru. 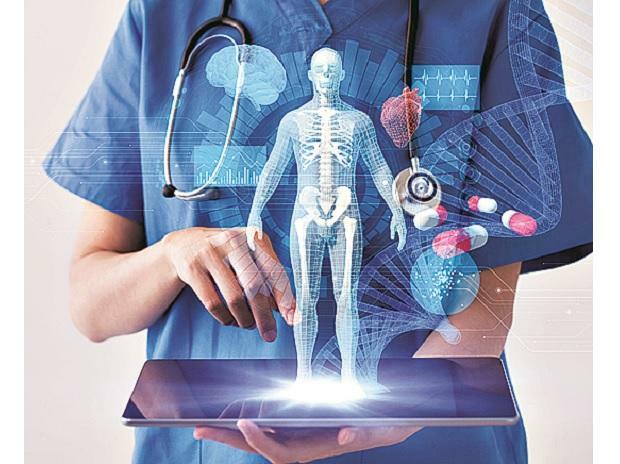 “HealthTech is one of the most promising emerging segments with a lot of potential, specifically in a country such as India that has a poor health infrastructure framework. The programme has been initiated to facilitate such a vision, and aims to cater to the best start-ups in the domain, allowing them to develop, redesign and alter their product or business model to best fit domestic and international demands, “said Venture Catalysts Founder Dr, Apoorv Ranjan Sharma. The program intends to cater to early and growth stage start-ups and is looking to scale up across diverse categories within the domain, including Chronic disease management, Child and maternal health, Enabling public sector as payers and providers of care and Precision therapeutics including genomics therapy among many others. Well Tech is a specialist in healthcare and technology innovation. It works with startups and large organizations around the world to create and scale new healthcare products and services.